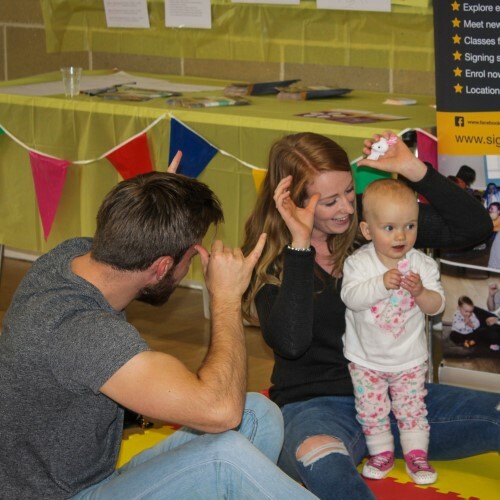 At Sign Stars Academy, we offer fun & immersive baby and toddler sign language courses, in the Derbyshire area. Sign Stars Academy can help you communicate with your child via the medium of British Sign Language and strengthen the unique bond you already share. We offer you the skills to enhance your communication together through play, song & sign. Our classes are full of fun, with signing, songs & sensory play. At the end of each session, you’ll receive a log of all the signs you’ve learnt that day, to take home and continue your signing journey. Meet new people & make friends at Sign Stars Academy; use the wind down time to play and chat, with free drinks and biscuits. To begin your signing journey, search for your nearest class here and book a place using your Little Starts gift card.